In the end, the full court, power press for reconciliation placed upon Charles Oakley and James Dolan by the dynamic duo of Michael Jordan and Adam Silver was enough to temper the hostilities swirling around the Garden and the two adversaries finally sat down and talked it out. 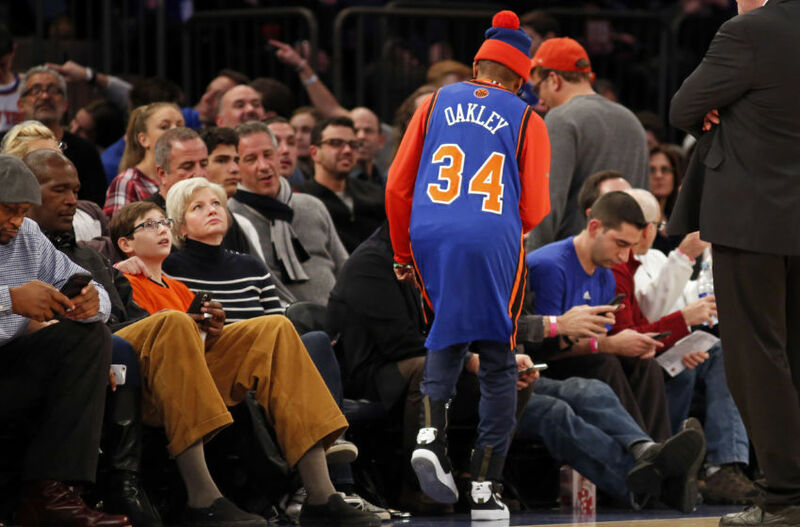 The result was positive as the New York Knicks lifted their lifetime ban on Oakley on Tuesday, but everything isnt peaches and cream between the Knicks owner and the former heart and soul of the 90s Knicks. Today on The Dan Le Batard Show on ESPN, Oakley was asked whether he would go back to Madison Square Garden as Dolan’s guest. Oakley says the fans, more than anyone, deserve an apology. We still dont know the exact story and I guess it doesnt matter. Oakley insists he didnt do anything. Dolan said the organization ejected Oakley because he was being verbally abusive to security while seated near the team owner. Dolan also suggested that Oakley had a drinking problem, which is very disrespectful. 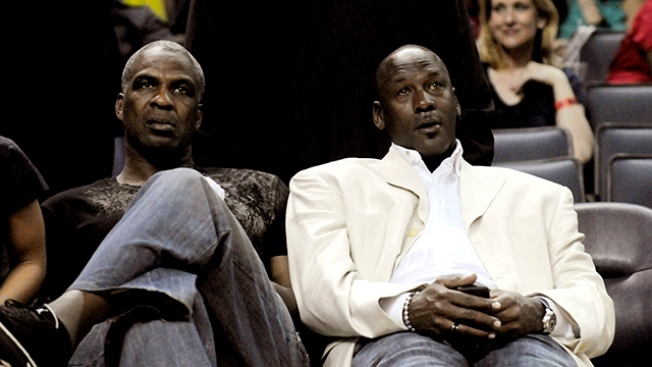 Oakley and Dolan met with Silver at NBA headquarters, with Jordan participating by phone, the league said in a statement. Reports say both men apologized for their part in the incident on Wednesday which led to Oakley, a Knicks legend, being arrested and physically removed from MSG. “Both Mr. Oakley and Mr. Dolan were apologetic about the incident and subsequent comments, and their negative impact on the Knicks organization and the NBA,” Silver said. Oakley said on TV that Dolan had apologized to him but added that “some things hurt. Some things just don’t walk away. A dog who broke his leg isn’t just going to walk away,” Oakley said. Im not sure that Oakley is going to get his wish of James Dolan standing next to him, humbled and apologizing in a live, televised press conference, but the fact that the two guys met is a start and the ridiculous ban against Oakley — another one of Dolans misplaced power trips — has been lifted.